Monrovia – Liberia’s Finance and Development Planning Minister Samuel D. Tweah has denied earlier reports of missing containers of Liberian dollar banknotes amounting to L$15 billion. He tried to clarify an earlier statement made by the Information Minister, who had said that the amount that is being investigated is L$16 billion. Finance Minister Tweah said the amount in question is rather L$15 billion. However, according to him, it is impossible for L$15 billion to vanish when the total amount of Liberian dollars available in the country is L$17 billion. “The total amount of money printed in the country over the last two years is L$15 billion, forget about what Minister [Lenn Eugene] Nagbe said. 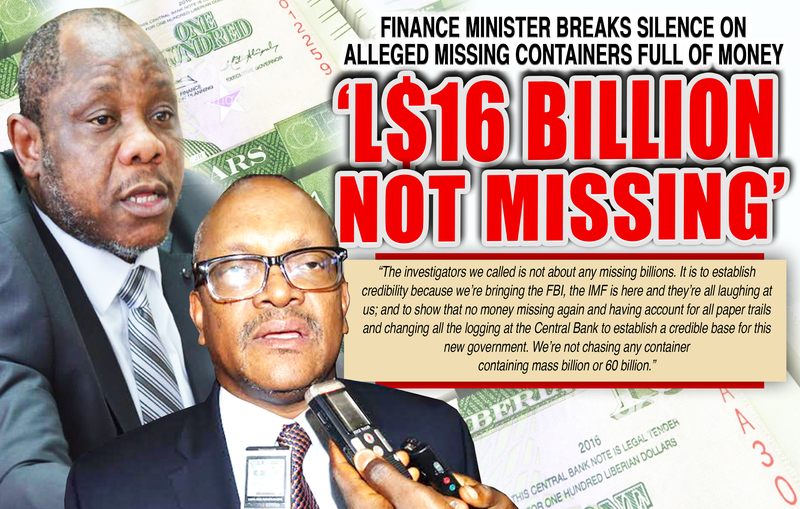 So, the fake story that came out about L$9 billion is saying that of the L$15 billion, nine is missing – now think about that – the entire amount of money supplied in the country half of it is missing – you don’t have an economy, you don’t have a country,” Min. Tweah said during a call-in section on OK FM in Monrovia Thursday morning. On Tuesday, Minister Nagbe in a VOA Daybreak Africa interview maintained that the current administration had nothing to do with the controversial ‘missing’ money. According to Minister Tweah, the government is not looking for any container of money and that would not be the focus of the ongoing investigation. “The investigators we called is not about any missing billions. It is to establish credibility because we’re bringing the FBI; the IMF is here and they’re all laughing at us; and to show that no money missing again and having account for all paper trails and changing all the logging at the Central Bank to establish a credible base for this new government. We’re not chasing any container containing mass billion or 60 billions,” he said. This means, the investigation will now look into monetary activities of the state that took place about a year before the container of cash was reportedly brought into the country. The government has also requested the assistance of the International Monetary Fund or IMF and representatives of several local organizations. “Ladies and gentlemen, it is necessary to put what is unfolding into perspective. The investigation is not about missing container(s). The investigation is to probe moneys brought into the country to establish whether they were properly received, reported, logged and deposited into the Central Bank’s vault. It is also to establish whether the amounts were properly disbursed. “People are either deliberately or unintentionally confusing ‘moneys brought into the country’ with ‘missing.’ The Central Bank of Liberia (CBL) is the statutory institution to import money into the country. “Therefore, importation of money into the country by CBL is not illegal. The entire money in the economy, in terms of Liberian dollars, is 17b. If 9b (Phillibert Brown’s figure) is stolen, the exchange rate would have been far higher; not to mention if 16b is stolen, there would definitely be no money in the economy. Former Governor of the Central Bank of Liberia (CBL) is one of 15 prime persons being investigated by the government in connection with the inability of the Central Bank to properly account for the moneys that were imported and cleared from the Freeport of Monrovia in March and August 2018. Weeks resigned as Governor of the Central in July this year just two years into his five-year tenure. Reasons were not provided for his resignation. However, his successor was named immediately upon the announcement of his resignation. 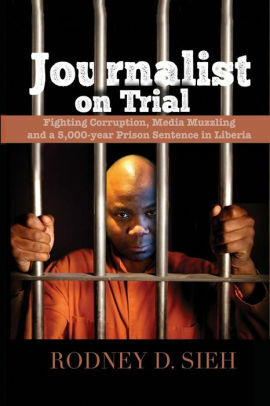 According to reports, Weeks has admitted before the joint security investigative team that the containers bearing the L$15 billion were received by the Central Bank of Liberia during his tenure at the bank. Weeks reportedly informed the National Security Agency, the Intelligent Financial Unit and the Liberia National Police that the containers were received during his stay at the Central Bank of Liberia and the money was shared between the new building housing the Central Bank of Liberia and the Housing Bank vaults. Weeks told investigators that some of the newly printed banknotes were infused in the Liberian market to replace the mutilated notes. The Central Bank is the only body with the power to order new currency. Liberian government last approved the printing of new notes in August 2016, as the country recovered from a devastating Ebola epidemic. Charles Sirleaf, the son of former President Ellen Johnson Sirleaf, is also being investigated and has been banned along with others by government, from traveling. Others being investigated include Lebanese businessman George Abi Jaoudi, Richard Walker, Mariea E. G. Toe, Musulyn R. B. Jackson and Opheila Nyenpan. Others are Oldada Deshield, Prince Bull, J. Barquolleh Gabriel, Theodosia B. Jreh, Zinnah Davison, Solomon Jaykpah, Kollie Ballah, and Andrew Pabai, among others.